Fill, build, dump, carry, push, pull, play with this wooden cart and blocks, from 12 months up. - Material: wood from sustainable forests. - Dimensions: 40.8 x 28.3 x 35.3cm. - Age: 12 months and up. 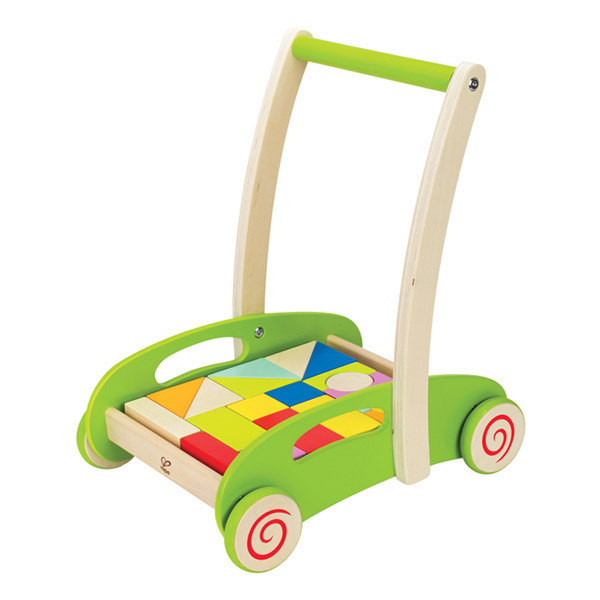 - Colour: green and wood cart, multicoloured blocks.